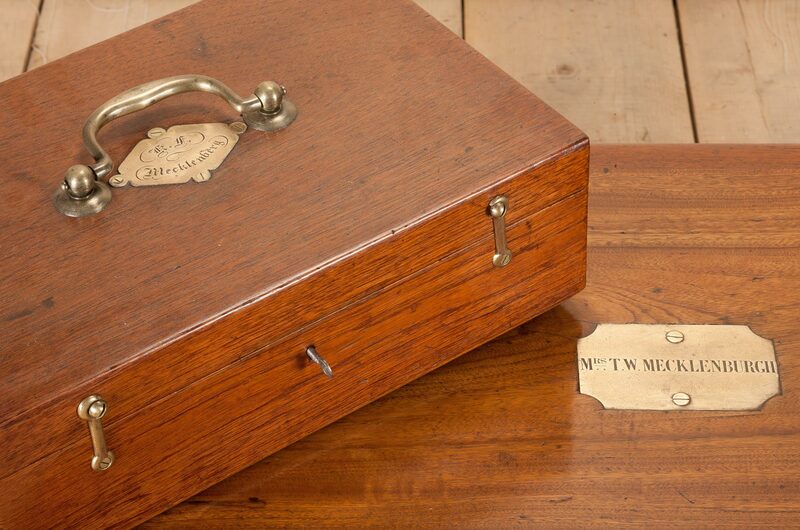 A teak box with brass fittings, the plate beneath the swing handle engraved with the owner's name 'K.F. Mecklenburgh'. Anglo-Chinese circa 1860.